What is new in 9.1? The short answer–quite a lot. There are UX refinements and new features such as a new email login capability, a new chunking algorithm, and many more cool and useful enhancements. I also wanted to call out one specific item people should try out in the beta: token based authentication. Token based authentication means that the typical username/password model for ownCloud can now be replaced by a token based model. Of course, username/password still works, but by using the built in token based authentication, users can now request device specific tokens, and revoke those tokens at any time. 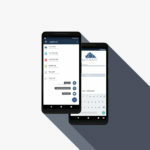 Now, instead of blindly connecting any device to ownCloud, you can use the new token mechanism in the personal panel to name and generate a token, then you can use that token as the password for your device. 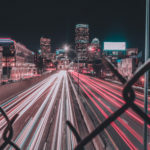 If you generate a new token for every device or desktop client attached to your ownCloud you will then also be able to see which ones are attached to ownCloud, when the last connection was made, as well as revoke tokens for lost, stolen, unnecessary or otherwise risky connections. And there’s more! There is the ability to see all sessions associated with your clients and then revoke those too – but we will talk about that more later. 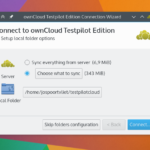 In the meantime, feel free to take the ownCloud 9.1 beta for a spin and see what you think. And be sure to open an issue at github.com/ownCloud/core/issues to let us know what you think.